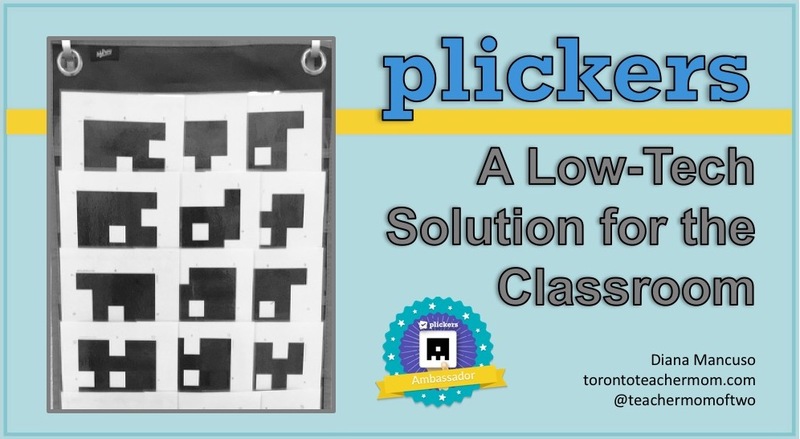 Last fall, when I attended the second annual Toronto GAFE Summit, I attended a session that introduced me to a brilliant classroom tool known as Plickers. I know, I know. Plickers has been around for a few years and I've seen plenty of teachers tweet about how much they love using Plickers in the classroom. But it wasn't until I experienced it first-hand that I realized it was a neat tool worth trying with my own students. The best part? It is pretty low-tech. And in a school of around 600 students with only 30 netbooks and 30 iPads available, that spells good news! Plickers is a simplified version of clickers where students can share their responses in real-time. The catch? Students do not need any devices. All they require is a Plickers card with a unique shape similar to a QR code. Each side of the shape is labelled A, B, C or D and will correspond to the multiple choice selection. Teachers will begin by creating a class list on Plickers.com, thereby assigning students a unique number, and distributing Plickers cards to students based on that number. The teacher can either dictate questions and answer choices out loud or create questions on Plickers.com and project them onto a screen. Once students have selected their answer, they will rotate their card until the letter representing their choice is on top and show the teacher. The teacher will scan their response with the Plickers app (available on iOs and Android) which uses your smart phone or tablet's built-in camera to record their answers within a matter of seconds. Plickers is a simple tool that lets teachers collect real-time formative assessment data without the need for student devices. You can use Plickers for quick checks for understanding, anonymous voting, self-assessment, exit tickets, and more. Plickers also gives all students the chance to participate and engage in learning without feeling self-conscious. As a fan of Plickers, I recently decided to become a Plickers ambassador and share my experience with this fun low-tech tool. 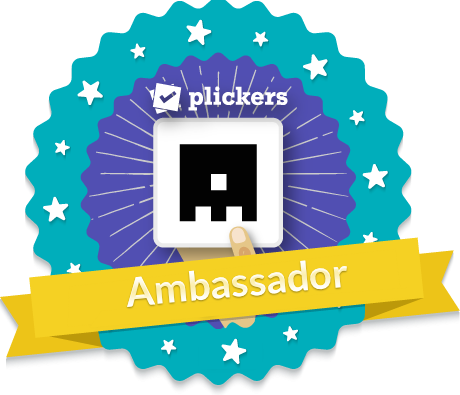 In the upcoming weeks, I hope to post tips and tutorials such as how to store Plickers cards and how to export reports, but in the meantime, if you ever have any questions, you can always post them below and I will do my best to help. This is a great idea to get students engaged!